I run not one, but many online businesses. And that means, separate websites (and blogs) for all of them – to set the online space and branding for my businesses. This in turn means, creating a lot of content! That’s not as easy as it sounds. 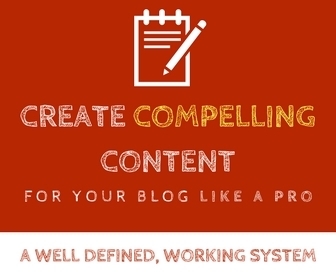 If you have been blogging for a while you would know how challenging it can be to consistently create content for your blog on a regular basis. Having said that, it is not something impossible to do. In fact, there are lots of successful business owners who are practicing it already. Consistency is the only thing that have skyrocketed the growth of many businesses. 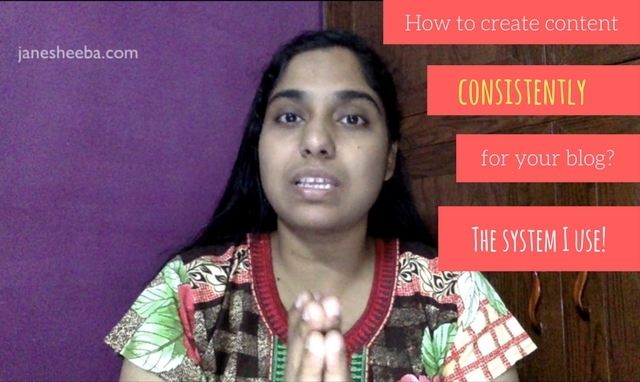 Watch this video where I share the downright simple system that I use to create content consistently for all my blogs. The system I share is not so complicated. It does not involve anything “rocket science” – but a rather simple system. I always prefer to keep things simple because that’s how I can make sure I actually use the system. Making things complicated only adds to the chaos. So there you go – my simple system that helps me create content consistently for my multiple blogs. After you finish watching the video, I want you to leave a comment and let me know what system you have in place for content creation. It really helps to jot down your ideas as soon as you get them. You can use a smartphone or a small notebook to write down your blog content ideas. I use both. If I’m at home I use my notebook to write down my blog content ideas. If I’m on the move I use my phone. You have to be strategic about how you build your blog. Keeping your ideas organized is important. I have a notebook and my mobile phone. Some funny events could just trigger post ideas and for the most part, I will do a voice recording on my phone. Many ideas have come to me while I read other blogs and comments and the only way I keep these ideas from evaporating is put them down. I have many saved as draft on my blog too and that helps me each time I want to develop them. Thanks for sharing your strategy Jane. Nice post…. so finally you shared your own way to create content for a blog. Great informative article. There is no better way to write consistently if you cannot map mind your content ideas. For me, I use anything i can lay me hands on, but it is important to have a strategy in play. Even though I use anything i can lay my hands on, I ensure to transfer whatever information I’ve gathered to my content calendar. I have a physical content calendar on my writing desk, have a software calendar in my smartphone and laptop. As Enstine noted, you never know what event that might trigger blog topic ideas. So you need to be ever ready. It all starts with an idea. Having multiple websites is a tough task and to come up with great content on a regular basis is not easy. you are right.It is very challenging to write for multiple blogs. But without having multiple siyes you can not grow business. Thanks for the good stuff.